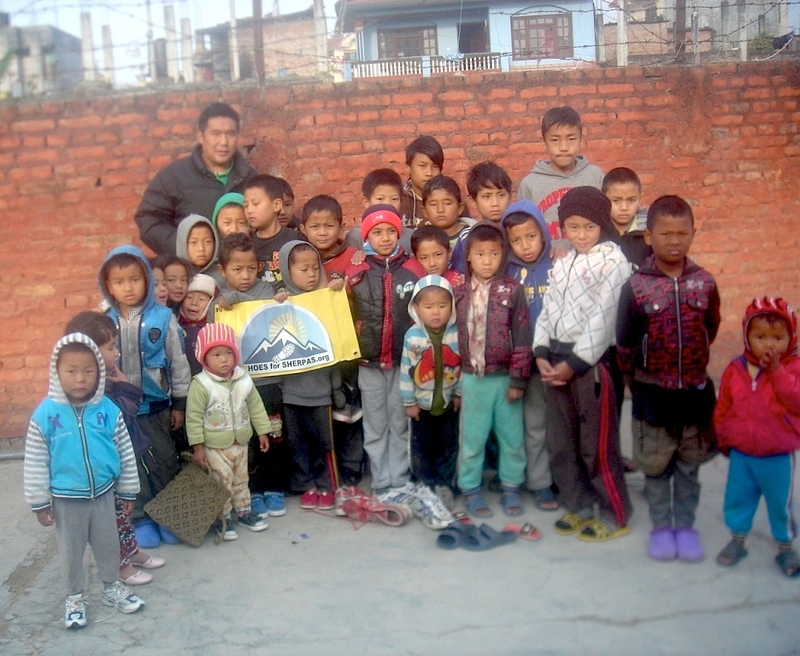 One of our guiding principles is that even little efforts can have a huge impact. 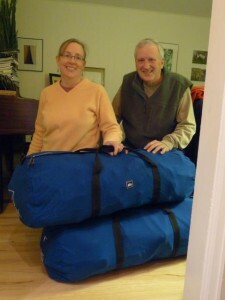 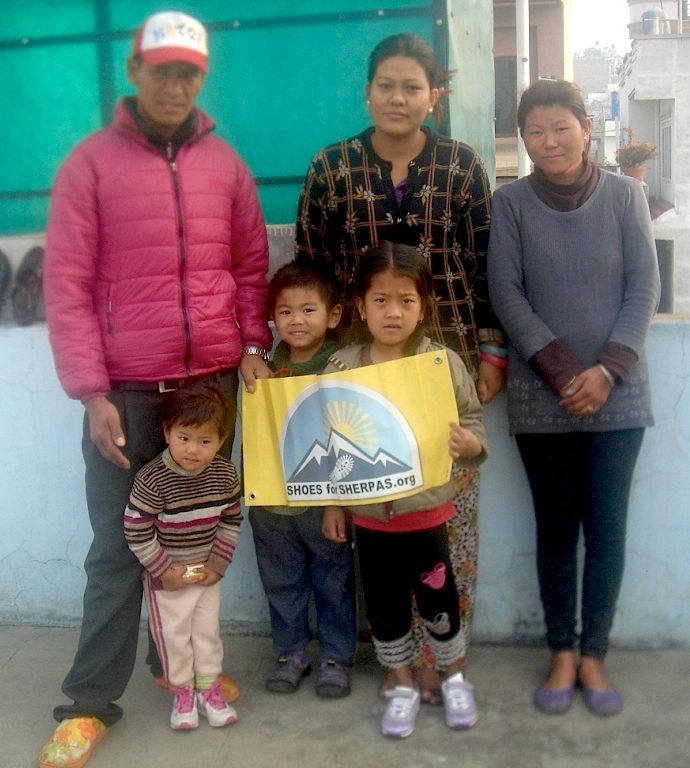 When Kathy Mitchell-Garton and Dave Garton of Helping Hands Health Education went to Nepal on behalf of their NGO, they offered to take two duffel bags of shoes– around eighty pair — with them. 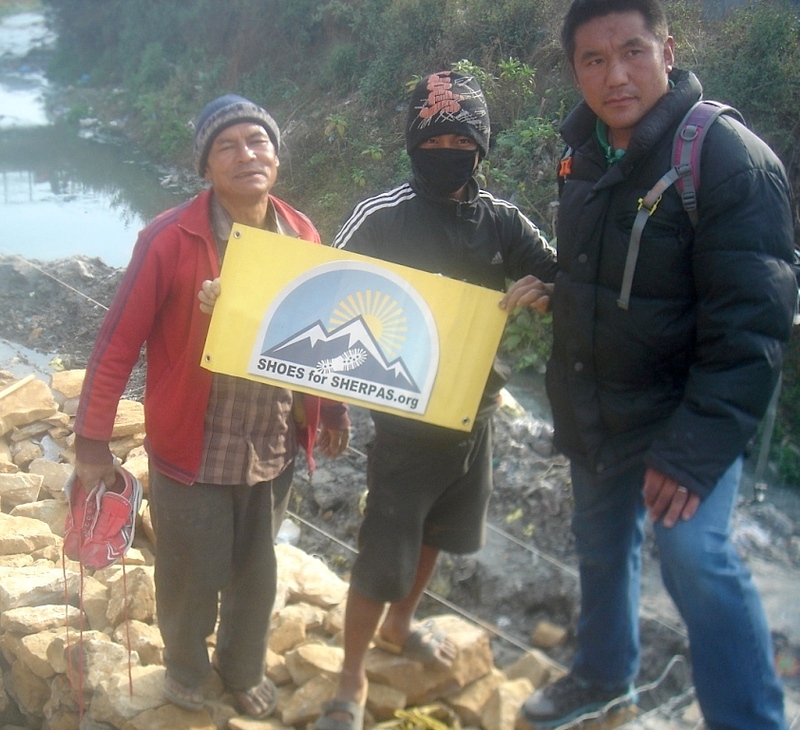 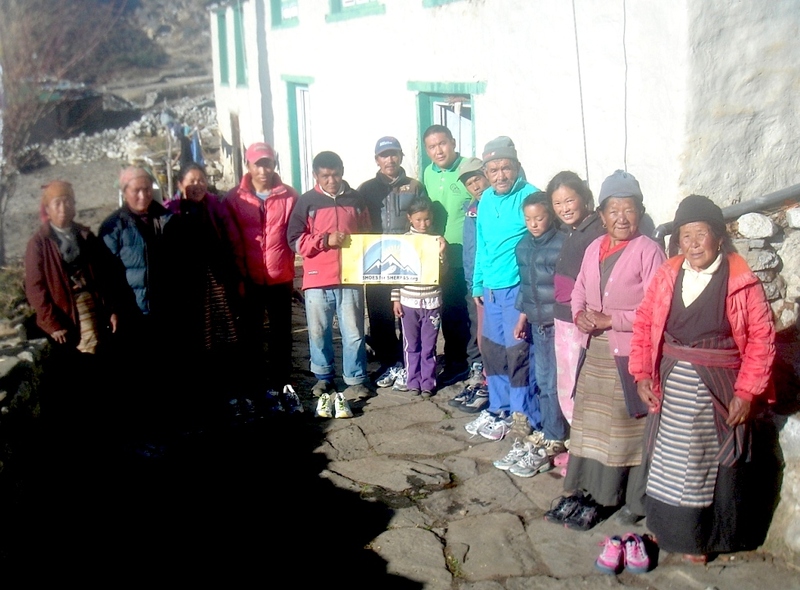 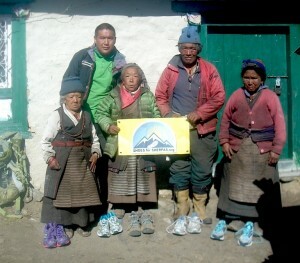 Mingma Sherpa met the Gartons in Kathmandu and handled distribution. From the Rockies to the Himalayas in two days with the help of friends!